Part of the Federal Forms set, Court of Appeals deals exclusively with practice before the U.S. Court of Appeals. 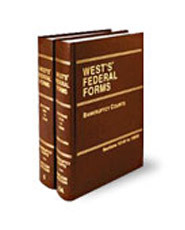 It provides extensive analysis and forms relevant to procedural aspects of practice before federal appellate courts. The text is organized around the Federal Rules of Appellate Procedure. You'll find a detailed index and tables of statutes and rules.